(1) Lab studies by psychology professors and students are not representative of real-world behavior/results. Indeed, lab experiments are little more than artificial constructions of reality and of only limited value in gauging the impact of violently-themed media on actual human behavior. (2) Real-world data trends likely offer us a better indication of the impact of media on human behavior over the long-haul. (3) Correlation does not necessarily equal causation. Whether we are talking about those artificial lab experiments or the real-world data sets, we must always keep this first principle of statistical analysis in mind. That is particularly the case when it comes to human behavior, which is complex and ever-changing. 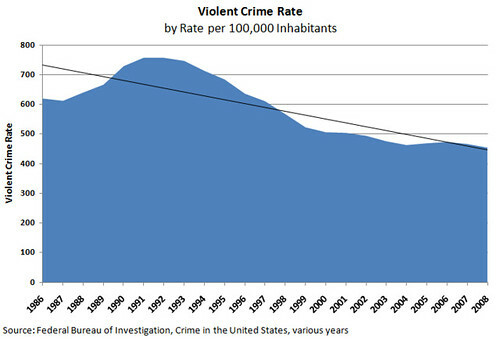 Despite turmoil in the economy and high unemployment, crime rates fell significantly across the United States in 2009, according to a report released by the Federal Bureau of Investigation on Monday. 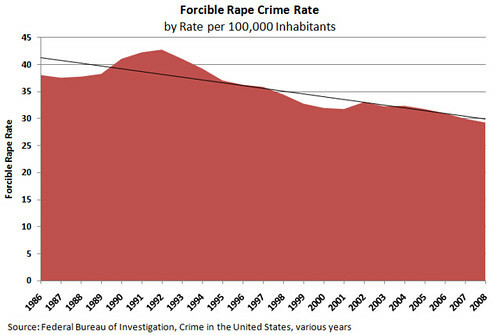 Compared with 2008, violent crimes declined by 5.5 percent last year, and property crimes decreased 4.9 percent, according to the F.B.I.’s preliminary annual crime report. 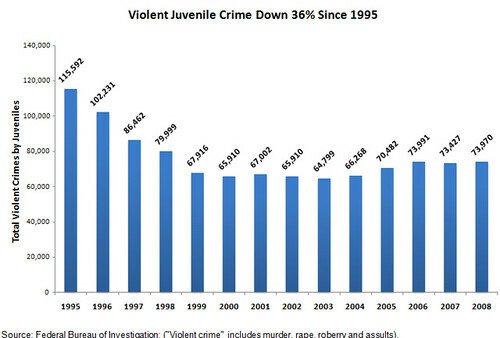 There was an overall decline in reported crimes for the third straight year; the last increase was in 2006. Again, these stunning declines occurred in the midst of one of the most significant economic downturns that America has experienced in decades. That’s not usually what criminologists find happens during most recessionary periods. Anyway, what am I driving at here? Well, at a minimum, this real-world evidence should at least call into question the “world-is-going-to-hell” sort of generalizations made by proponents of increased media regulation, who all too often make casual inferences about the relationship between media exposure and various social indicators. Such a causal relationship is even more dubious today since all Americans, especially youngsters, are surrounded by a much wider variety of media than ever before. According to the Kaiser Family Foundation’s report “Generation M2: Media in the Lives of 8- to 18-Year-Olds,” youth exposure to just about all forms of media is up. The amount of time they spent with video games rose from an estimated 26 minutes in 1999 to 1 hour and 13 minutes in 2009. And TV exposure went from 3:47 to 4:29 over the same 10-year period. Movie viewing time is also up. So, let’s assume this means that exposure to depictions of violence in games, TV and movies is up as well. 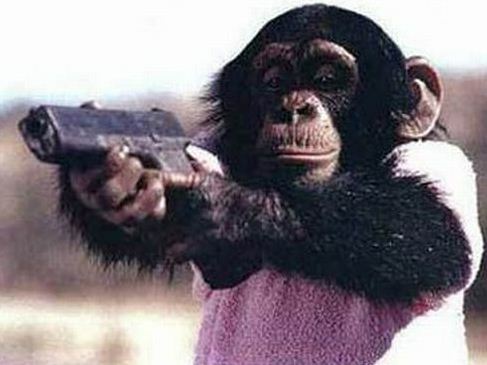 At some point, if the “monkey see-monkey do” theory has anything to it, shouldn’t we be seeing it show up in real-world crime statistics? I would think it would start showing up somehow, somewhere, and at some point, don’t you? Another argument I sometimes hear is that the impact of violent media doesn’t show up in crime stats or other social indicators, but in other forms of bad behavior or non-violent aggression. 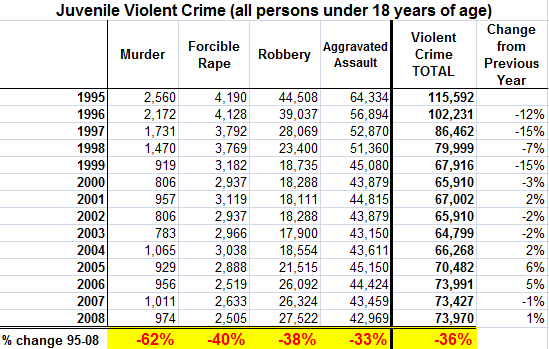 The problem with that argument is that all of these crime and social statistics show generally encouraging declines. But I persist in my belief that — if there really was anything to such theories of causality — we would have to see to impact on at least some of these trends at some point. Or are we just talking about things that cannot be measured, like potty-mouth language and disrespectful tones? Well, sorry, but that’s a different concern, and while I don’t want to downplay it, it’s not one that would not likely raise the same level of concern as the fear about a connection between screen violence and real-world violence. Anyway, regardless of who is right in this debate, I’m just happy that the world is becoming a safer place to live in! Nonetheless, if advocates of media regulation want to continue to claim a relationship between visual depictions of violence and the real thing, they need to explain to me why reality doesn’t match up so well with their theories. Next post: Broadband Reclassification: The Third Way or the Highway?